• Eco-friendly fabric made in Italy using Xtra Life Lycra® and regenerated Econyl®. • Soft and smooth fully lined. • Eco-friendly fabric made of a 100% regenerated polyamide yarn. • UV protective, working as a filter against sun rays ensuring UPF 50+ UV protection factor. • Resistant to sun-tan creams & oils. • 2 central Tortoiseshell RESET PRIORITY rings. • Matte Gold Nickel free back clasp. • High waist bikini bottom. • With fringes details in the waistband. • Fully lined with custom and super soft fabric. 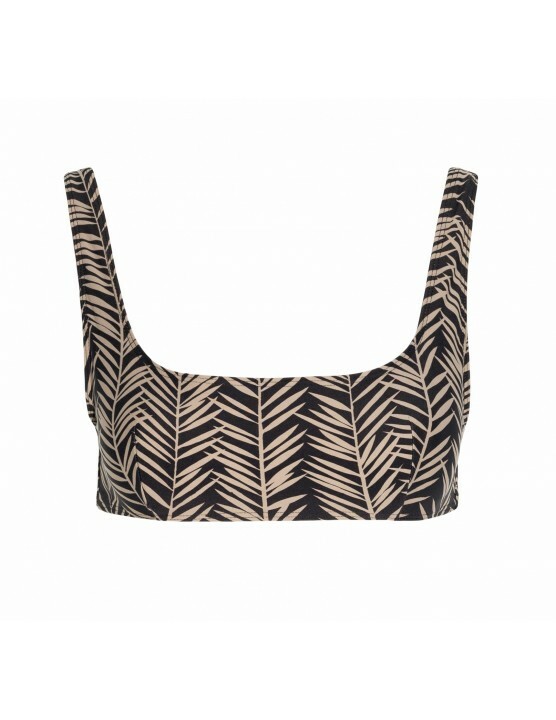 • Bikini top with Tortoise shell custom rings on the front. • Tortoiseshell RESET PRIORITY rings on the back. • Bandeau bikini top with center Tortoise shell custom rings. • It is tied by a bow for a better fit. • Tortoiseshell custom RESET PRIORITY ring. • Adjustable or removable center strap. • Triangle bikini top and crop top. • Adjustable bows on the shoulders. • Green buttons at the front and back. • Italian texturized fabric using Xtra Life Lycra®. • Without back closure for a perfect comfort. • Italian recycled and eco-friendly fabrics made of a ECONYL™ 100% regenerated nylon and Xtra Life Lycra®. • Back closure in a metal clasp. • Tie the central strap behind the neck in multiple designs. • Soft cup underwired bikini top. • Perfect for bust cup B/C. • Adjustable straps and back. • Halter bikini top with center tie. • It ties in a bow on the center for a perfect adjustment. • Sustaining V neck bikini top with a modern touch. • It offers a good support and shaping. • Perfect for bust cups B/C. • With 2 buttons at the front. • No back closure for a perfect comfort. • Italian texturized fabric using Xtra Life Lycra®. • Minimal triangle bikini top. • It ties at the front in a bow with metal ending cords. • Front crossed bikini top. • Tied behind the neck in a bow. 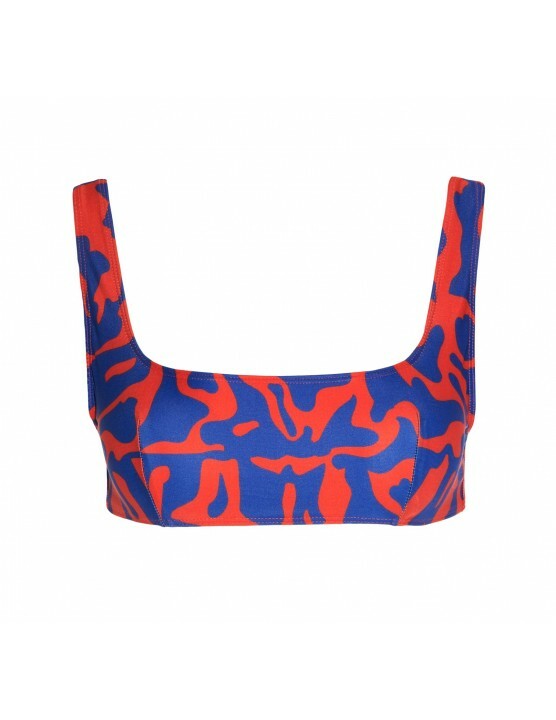 • The ultimate sustaining bikini top with a modern touch. • Fully wired, ideal fit for cups C and D.
• It ties in a bow for a perfect adjustment on your back. • Triangle bikini top with nickel free front closure. • Details of crochet in the back and on the cups. • It ties in a bow for a perfect adjustment at the back.